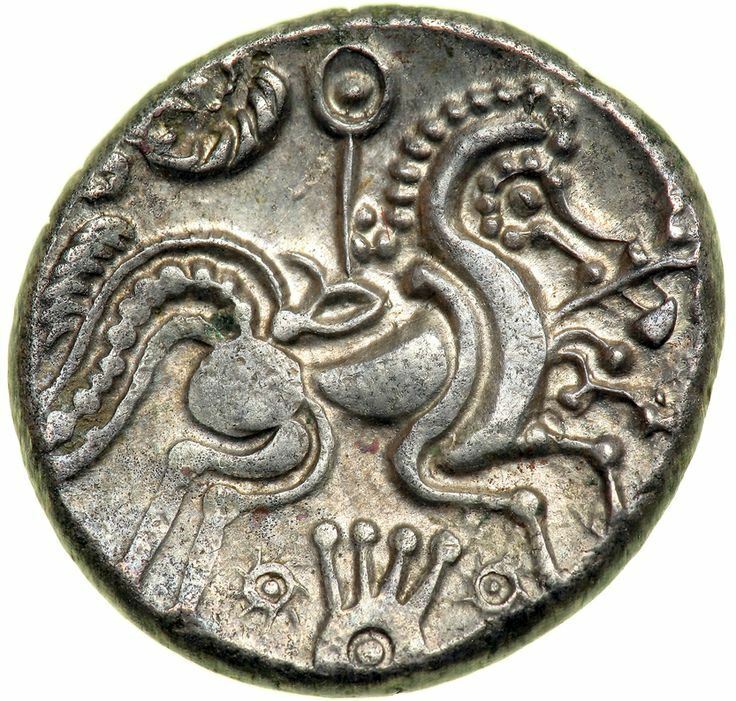 Celtic coinage was minted by the Celts from the late 4th century BC to the late 1st century BC. Celtic coin designs were influenced by trade with and the supply of mercenaries to the Greeks, and initially copied Greek designs, especially Macedonian coins from the time of Philip II of Macedon and his son, Alexander the Great. In addition to gold and silver coins, the Celts on the continent and in southern Britain also produced potin coins using various combinations of copper and tin. These were small in size and were cast, not struck or hammered as were the dearer gold and silver coins.